Not your average Christmas visual! A cool hand drawn animation, this alternative Christmas video loop makes for a mesmerizing scene. A captivating motion graphic to add to your video library. 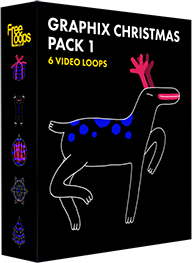 This video loop is part of Graphix Christmas Pack 1.